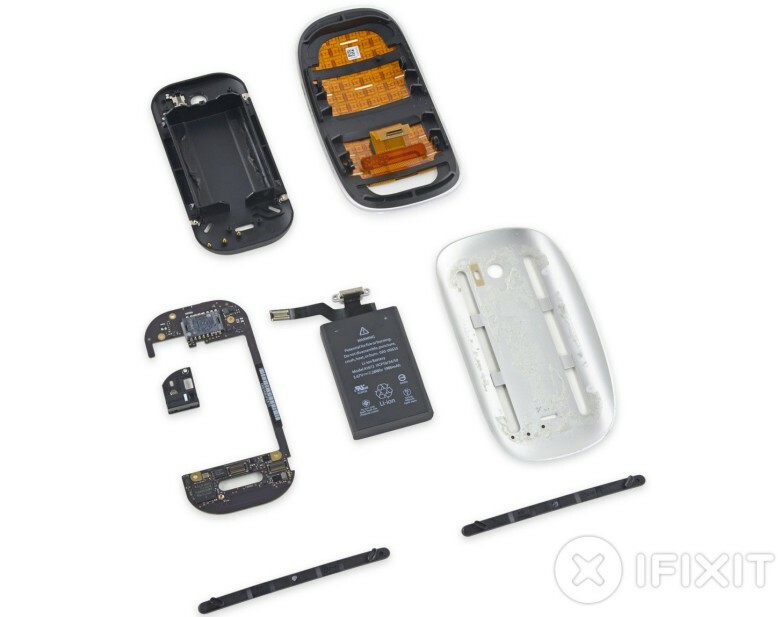 Apple’s magical new Mouse, TrackPad and keyboard have been given the official teardown treatment from the guys at iFixit today, revealing the minuscule components inside the rechargeable new peripherals. The teardown on the keyboard reveals the tiny new battery Apple squeezed in that has some design similarities to the iPhone’s battery. 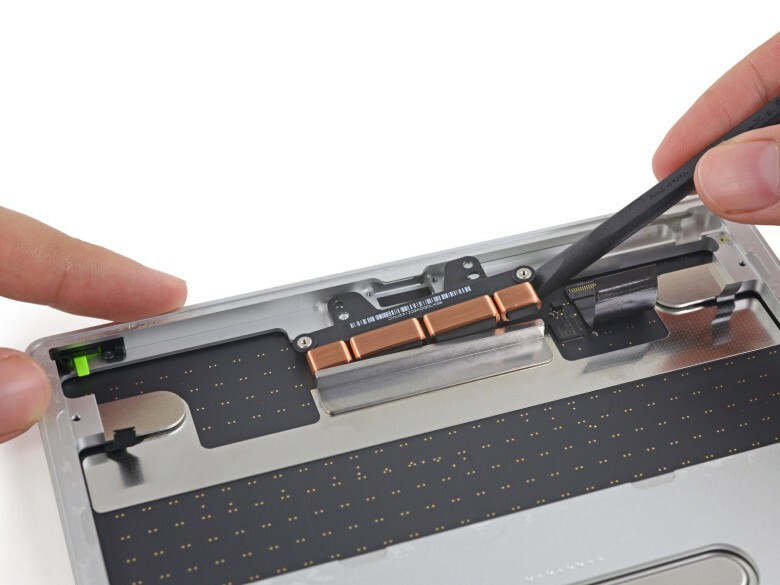 iFixit also took a closer look at the new Taptic Engine in the pricey Magic TrackPad 2, and filleted the Magic Mouse 2. The new Magic Keyboard includes a rechargeable 793 mAh lithium-ion battery, logic board, a honeycombed spacer layer to add more rigidity to the board, a Lightning connector cable, and of course the keys, which use Apple’s new scissor mechanism that debuted on the new MacBook. The logic board’s Bluetooth is powered by a Broadcom Bluetooth transceiver, with an ST Microelectronics microcontroller, NXP charging IC and a TI battery charger. If your keyboard ever breaks, you’ll have to take it into the Apple Store, as the repair experts at iFixit gave the new Magic Keyboard a low repairability score of 3 out of 10. The Magic TrackPad 2 costs $129, but the insides aren’t quite as exciting as the price tag would suggest. iFixit found that the trackpad has the largest battery of the three new products, with a 2,024 mAh rechargeable lithium-ion battery. It also includes strain gauges, a logic board, and a big Taptic Engine with copper wire coils. The insides of the Magic Mouse 2 have been changed largely by the new 1,986 mAh rechargeable lithium-ion battery. Apple’s designers also redesigned the feet to sound better while it glides across your desk. The new mouse also has a logic board, a touch-sensing array, and a switch for all that clicking. You can see more gory details and lots more photos over at the three iFixit teardowns.